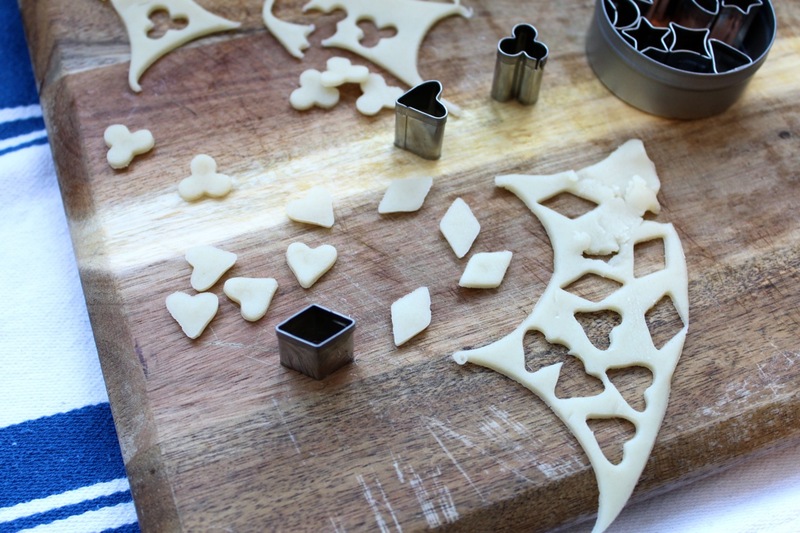 I used some extra pie dough and these cute little cookie cutters I got from my parents (thanks!) 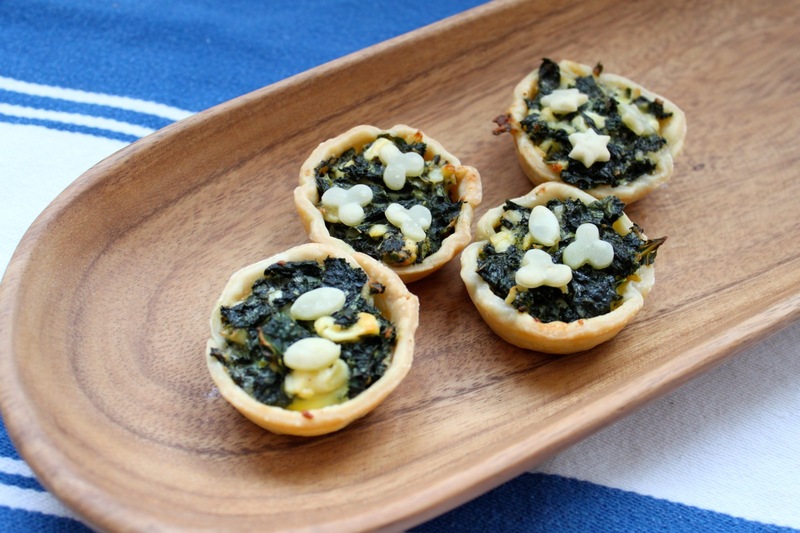 to cut out little shapes to put on the kale/feta pies. 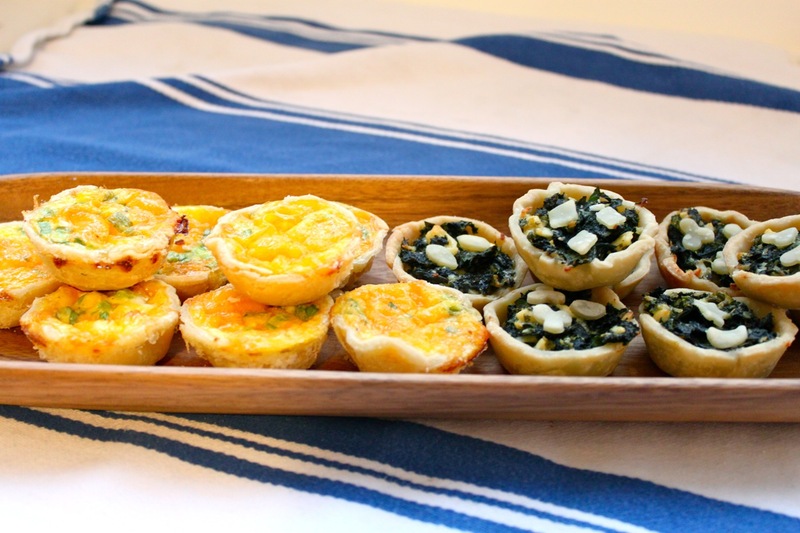 One note on the breakfast pies: I added the Canadian bacon and cheese first, then poured in the egg mixture which ended up causing more egg mixture around the muffin tins than in them. You can see some of the spillage below. The photo was after I tried to wipe most of it off the tray. As a result, in the directions below you will see my change to: pouring the egg mixture in and THEN topping with cheese. It will save you some cleanup. 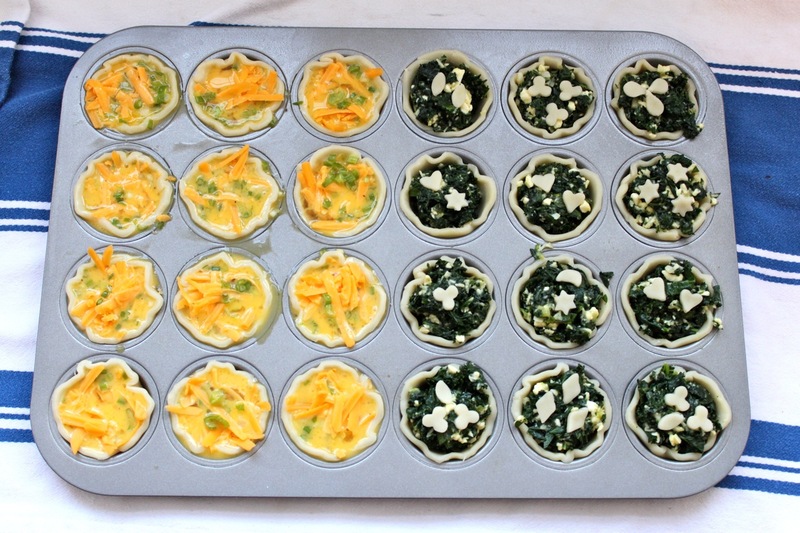 Preheat oven to 350ºF and spray a mini muffin tin with cooking spray. Dice up the Canadian bacon, shred the cheese, and slice the scallion. 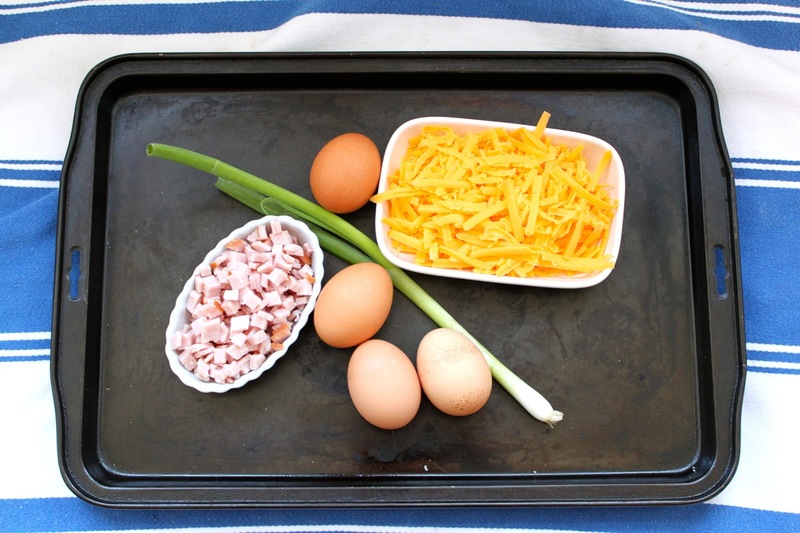 Next break your eggs into a measuring up – it will make it easier to pour the egg mixture into the pies later. Add the milk and whisk together. Add the sliced scallions and a little salt and pepper to the egg mixture and mix to combine. 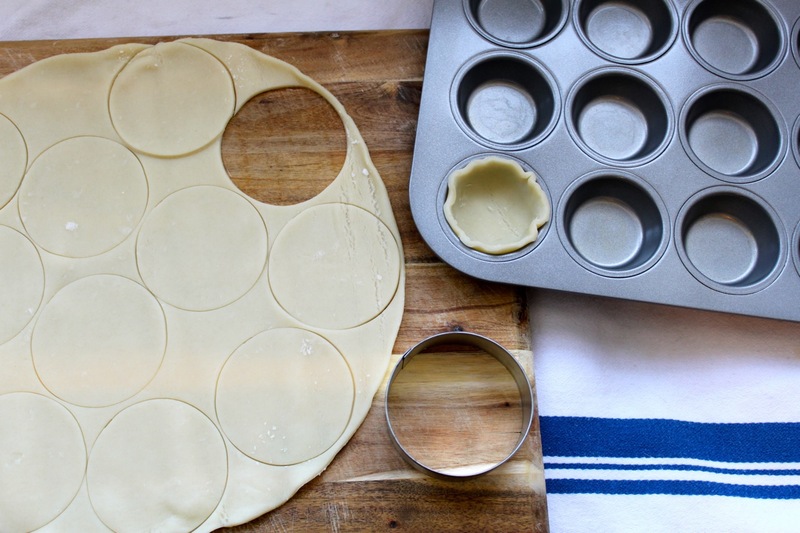 Cut circles out of the pie dough and fit into muffin tin. 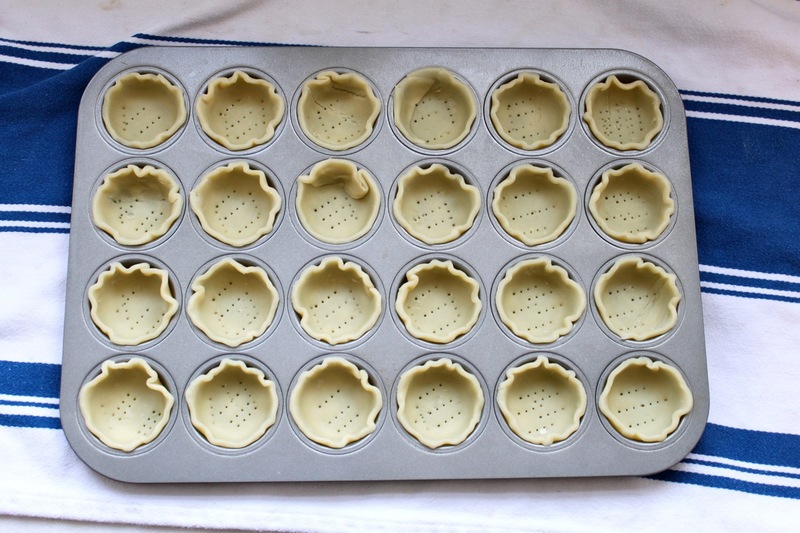 I find it easiest to push down from the edges of the circle so the thickness of the pie dough stays the same. If you push down in the middle of the dough it will stretch thin in places. Prick bottom of pie dough with a fork. Divide Canadian bacon among the 12 pies. Pour in egg mixture leaving a little room on top, then top with cheese. Bake for 25-30 minutes, checking at 25 minutes. Heat the olive oil in a medium saute pan over medium heat. Add the scallion and saute for 1-2 minutes. 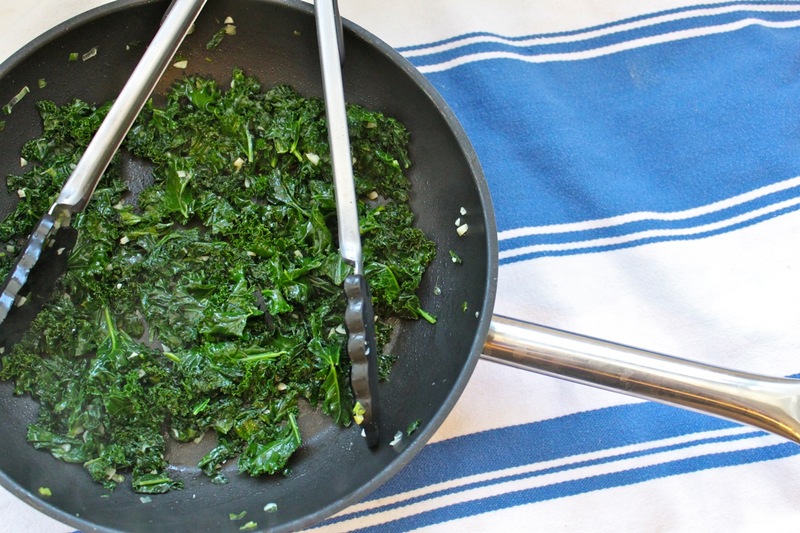 Add the garlic and saute for 15-30 seconds (you don’t want your pan too hot or the garlic will burn) and then add half (3 cups) of the kale along with 1 tablespoon of the water. The water will help steam the kale. 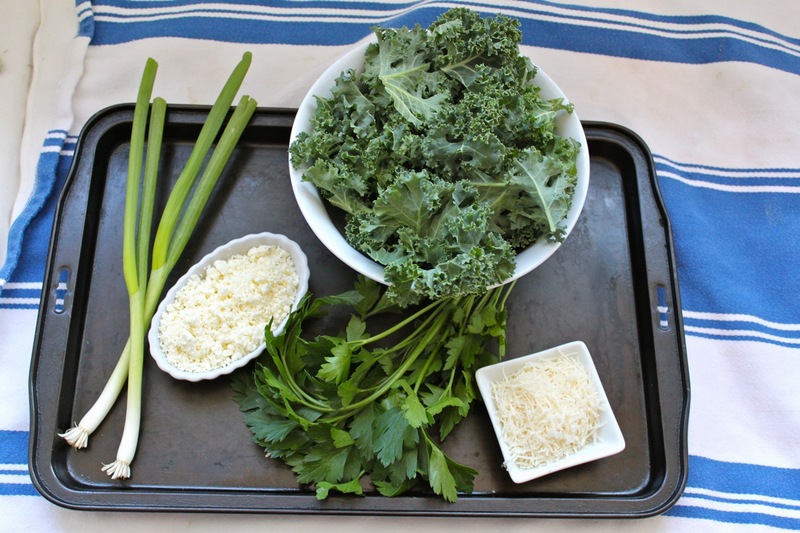 Once the kale has wilted a bit, add the remaining kale and 1 tablespoon of water. Season with a little salt and pepper. I used tongs to toss the kale with the scallions and garlic. Saute until the kale is wilted and cooked through. Transfer kale mixture to a bowl. Add the feta, parmesan cheese and parsley and mix to combine. Taste the mixture now and adjust seasoning by adding more salt and pepper if needed. Once seasoned to your liking, add the beaten egg and stir until combined. 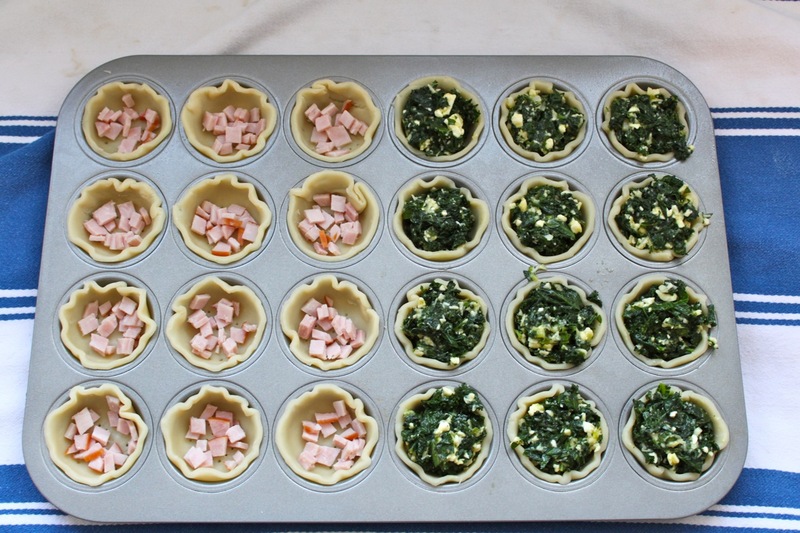 Divide the kale mixture evenly between the 12 pies. 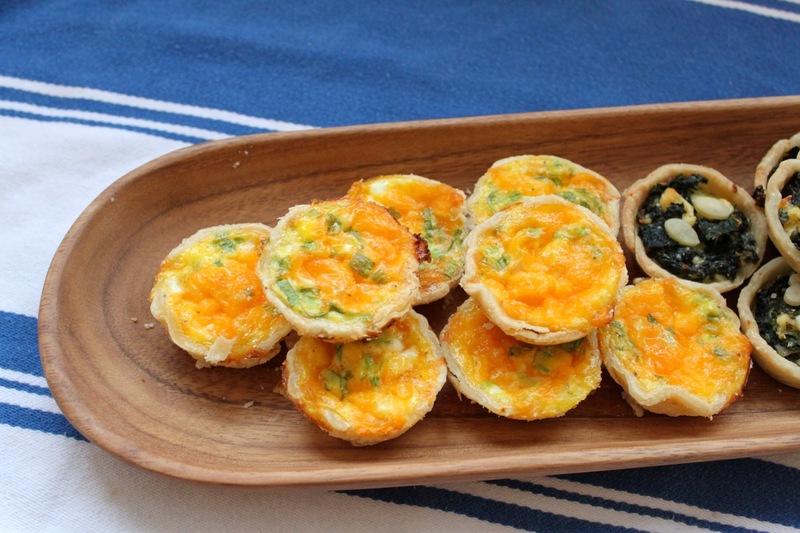 Top with extra pie dough if you want, or leave it as an open face pie. Bake for 25-30 minutes, check at 25 minutes.